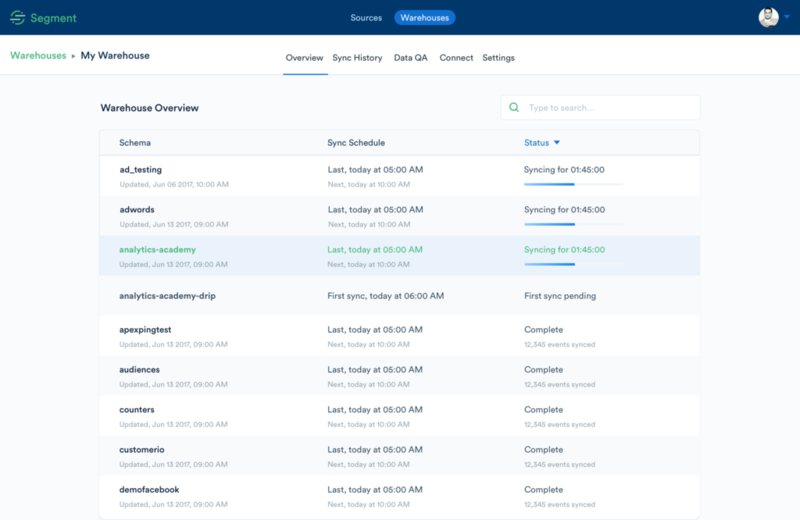 This week, we’ve shipped a few improvements to managing Destinations for warehouses within Segment to give you more visibility into and control of your data. The updated page gives you more visibility into what’s happening with your data, so you can focus your time on finding insights. We’ve also updated the Selective Sync feature, so you can filter out data you don’t want in your warehouse before any data starts syncing. Previously, when you connected a warehouse, Segment would start syncing all of your data from your connected Sources automatically. That means some unnecessary data snuck in on the initial sync. 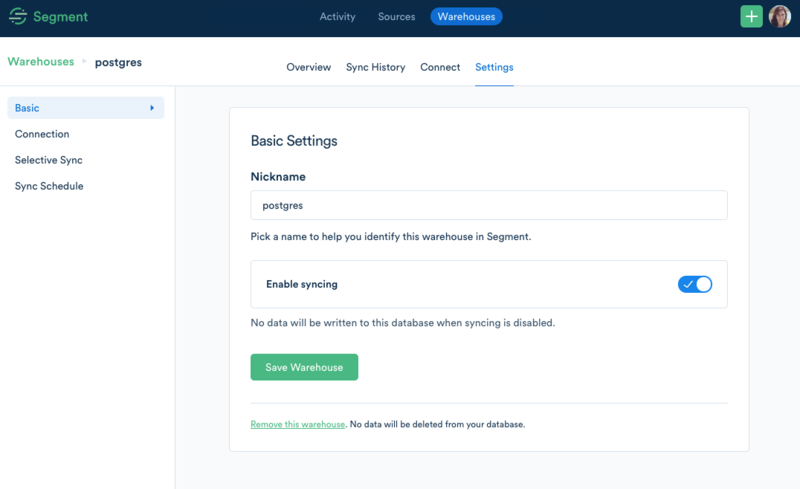 We recently added the option to disable Warehouse syncing by default when you set up your warehouse. Then, you can set your preferred filters on the Selective Sync tab before any data is sent. When you’re happy with the filters, you can click Enable Syncing, which will only load selected Sources and events into your warehouse. The new feature gives you the power to keep your tables clean and ensure only the data you want finds its way into your database. Learn more about warehouses here.